The Yoast WordPress SEO Plugin Noindex Posts Tutorial article is part of a series of SEO tutorials to support the Stallion WordPress SEO Plugin and the Stallion Responsive WordPress SEO Theme. This WordPress SEO tutorial covers the Stallion WordPress SEO Plugin – Yoast WordPress SEO Plugin Noindex Posts Warning and the Stallion Responsive Theme – Yoast WordPress SEO Plugin Noindex Posts Warning. The noindex robots meta tag stops the webpage from being indexed in Google etc…, as long as this option is set none of your WordPress Posts will be found for relevant searches in any search engines including Google! 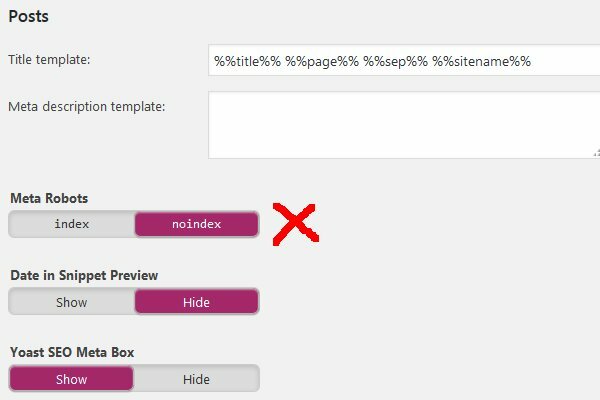 The Yoast noindex robots meta tag option to block the indexing of WordPress Posts causes significant SEO damage, this would result in ALL your blog Posts NOT being indexed in Google etc… I’m shocked this is an option in any SEO plugin!!! This Yoast SEO option is so SEO damaging I haven’t added an equivalent Stallion WordPress SEO Plugin Not Index option. I cannot think of a single SEO reason why a webmaster would use this option? Why would anyone want ALL their Posts not indexed in Google etc…? 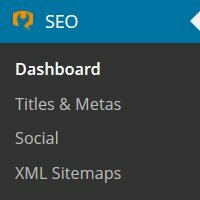 If this is what you want there’s a core WordPress option under “Settings” > “Reading” : “Search Engine Visibility” : Tick “Discourage search engines from indexing this site” to add a sitewide noindex robots meta tag. The Yoast noindex Posts options stop search engines indexing your Posts, this core WordPress option stops search engines indexing the entire WordPress site.